Mark your calendar for the 2019 Golden Cinema series! 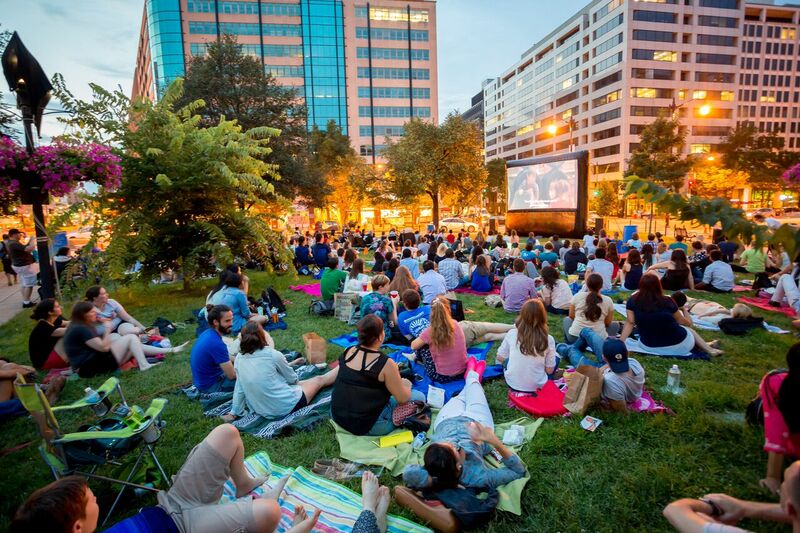 The free outdoor movie series, Golden Cinema, hosted by the Golden Triangle BID, returns to Farragut Square this summer! This year’s program includes an incredible line-up of films – make sure to mark your calendar now. 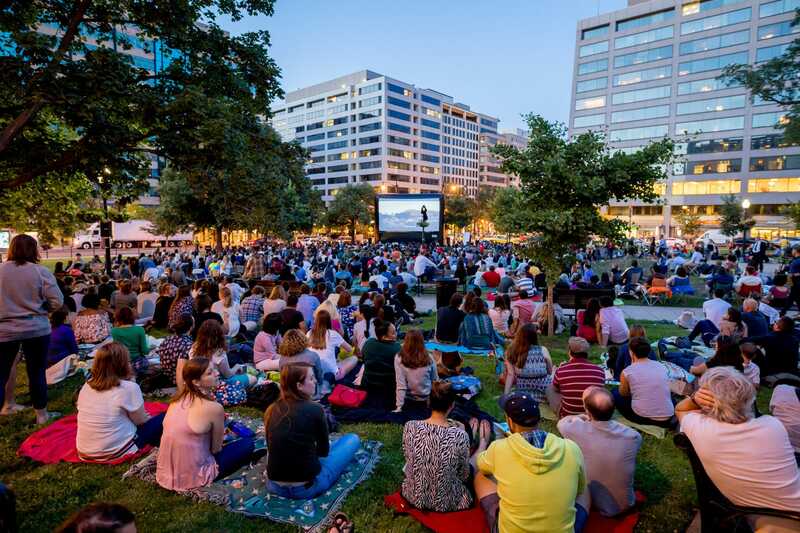 Movies will be shown each Friday at sunset – around 8:30/8:45pm – beginning on June 7 through August 2. June 21 – Won’t You Be My Neighbor? A rain date is scheduled for August 9. No movie is shown on July 5. Located in the heart of the Golden Triangle neighborhood, Farragut Square is easily accessible by public transportation (Farragut North station – Metro Red Line; Farragut West station – Metro Blue Line, Orange Line, and Silver Line; Buses – 38B, 52, S2). Bring a blanket, grab a bite to eat at a local restaurant or plan your picnic dinner, then sit back and enjoy the show!